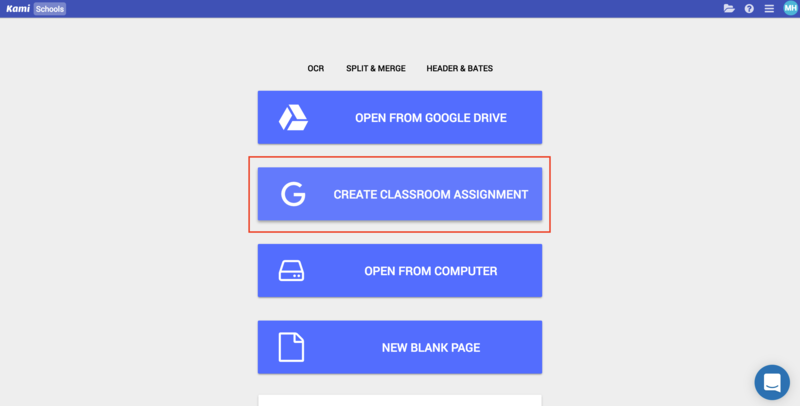 Why can't I see the Create Assignment button? 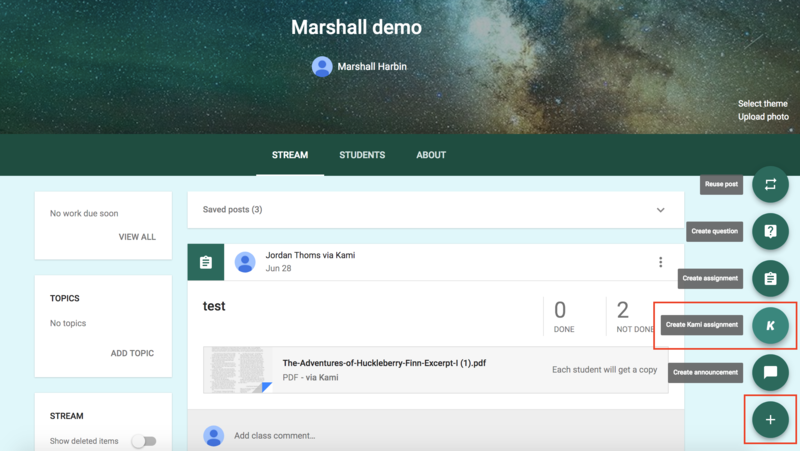 With our Google Classroom integration, you will see a 'Create Kami Assignment' button inside the Classroom interface, allowing you to quickly create a Kami assignment for the class. 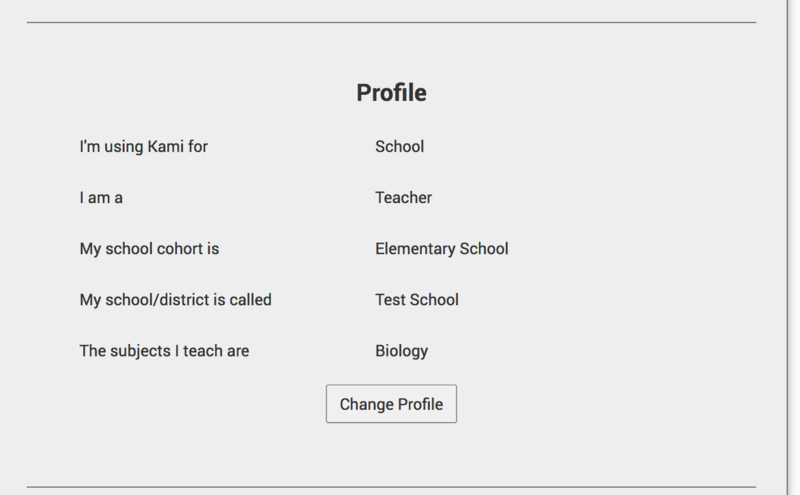 Now refresh the Kami interface and the button will appear.